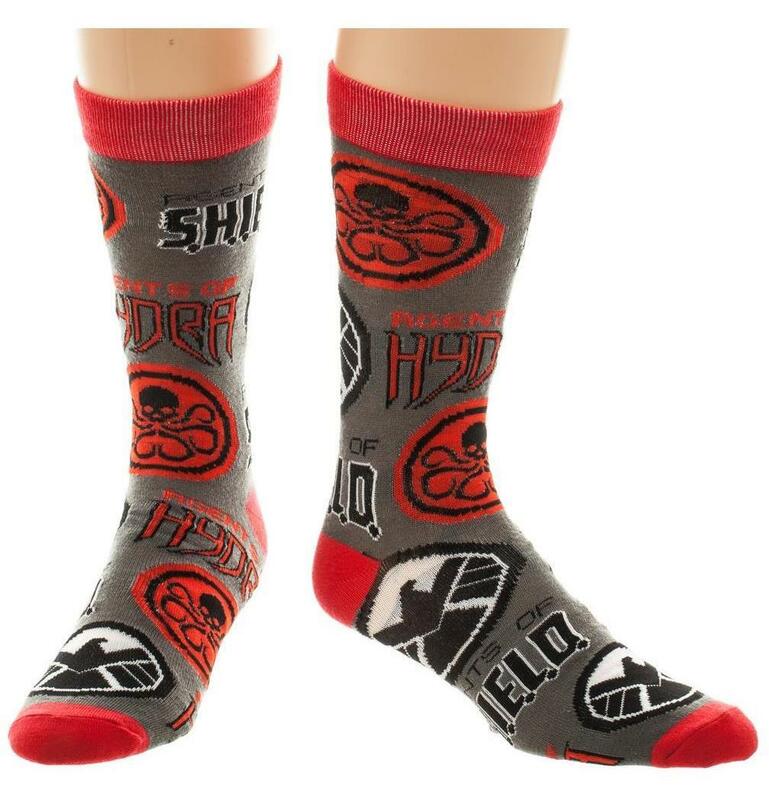 Put some style in your step with these Marvel crew socks! Eye-catching socks feature an all-over print of the SHIELD and Hydra logos. 68% Acrylic, 30% Polyester, 2% Spandex socks fit men's sizes 10-13. Officially licensed. 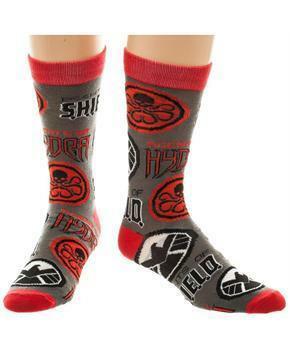 Put some style in your step with these Marvel crew socks! Made of 68% Acrylic, 30% Polyester, 2% Spandex. Eye-catching socks feature an all-over print of the SHIELD and Hydra logos. Socks fit men's sizes 10-13.